The following is the review I received from the EFT trainer Training that June Spencer attended. 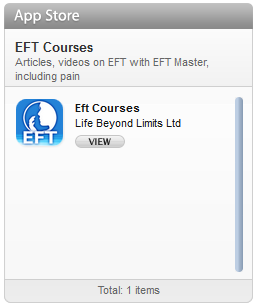 June has also given me permission to posts the reviews she received from an Introduction to EFT training seminar she ran within a week of completing her training. I feel that through your belief in me as an EFT Practitioner and your willingness to share open and constructive guidance and support during all stages of my EFT development, I have become a more whole, confident, purposeful person. You use a phrase that inspires me, ‘I want to help take you to the next step’. You never doubted that I could reach it. Your feedback was always constructive and positive and even though I knew I hadn’t got things right you showed me how to improve. Whether it was using NLP techniques, Posture, Breathing, Energy work, maintaining a level at which the students need to learn. As you know I felt guided and supported every step of the way, during every moment. There was no fear of failure when I attempted something. Even when I didn’t really know what to expect in the first training session. But looking back, although I wouldn’t want to go through that again (I would prefer to be more prepared – having seen some structure or training notes), I feel that it was the right way at the time. You inspired me to want to get it right in the January training, not just for you but more importantly for myself. I don’t know whether you remember me saying, ‘No one has ever believed in me before.’ I meant it then and I mean it now. Prior to the training in January I had been working on Public Speaking and confidence issues using the Personal Peace Protocol. Issues that I thought had been resolved just came to the surface as physical pain as well as vivid pictures. There was a point when I had to rush out of the room and was physically sick after working with a lady. I was worried in case I would let you down by not being able to continue. I feel I had to experience the pain in order to let it go and then go beyond the emotion and the past event. It did involve standing in front of the whole school, but in my case it didn’t involve speaking out. I realise that I should have but I can’t put that right. But also I have a deeper understanding of why I didn’t and the events that lead up to the incident. (This refers to some EFT reframing work I did with June during the training to over come her unexpected nerves)The other issue that blew up in my face was one of humiliation about some creative writing. Both sets of (therapy) work you did with me took the pain, emotion and release to a higher level. You didn’t have to do this but your level of support is always one step further. For this and everything else I am truly grateful. I say with passion, honesty and sincerity. 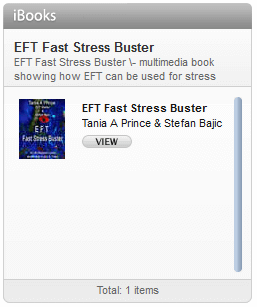 “You are a compassionate, supportive, deeply intuitive and understanding EFT Master. You have developed confidence and professionalism in me. When I prepared my first workshop, I had your guidance to help me and used your Training Manual as a model to prepare my own. Which proved very successful. 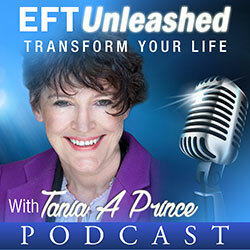 I would highly recommend, without any reservation the skills, support, professional and caring training techniques and after training support that Tania A Prince adopts when working with any students of EFT (at any level). I know in my own mind that because of the standards set and the guidelines and support given I am able to work with EFT at the right level to support my individual clients and also when working with groups and at workshops. I feel confident as an ambassador of Gary Craig and his powerful EFT technique and as a student of Tania that I can maintain the high standards required. Tania, I could go on but I don’t feel I need too. You have helped me grow as a person, in confidence and I am sure you will continue to do so with so many more students. Gary should be proud of you. I look forward to continuing to value your friendship and support.